Eckhart Tolle has long taught a curious truth: You’re not your possessions. You’re not your career. You’re not the events of your life. You’re not even the contents of your mind. So, who are you? With The Journey into Yourself, this beloved teacher invites you to join him on an odyssey beyond the “horizontal dimension” of thought and into an aspect of our lives that most of us overlook: the “vertical dimension” beyond the reach of the mind. According to Eckhart, the vertical dimension might be better known as the present moment or the Now—all that ever really is. And that includes you—the real you. Recorded before a live audience at the Omega Institute in Rhinebeck, New York, The Journey into Yourself presents a rarely heard talk from early in Eckhart’s teaching career. Here you will encounter more than eight hours of practical, provocative, and occasionally hilarious teachings for awakening to who we are beyond the physical. 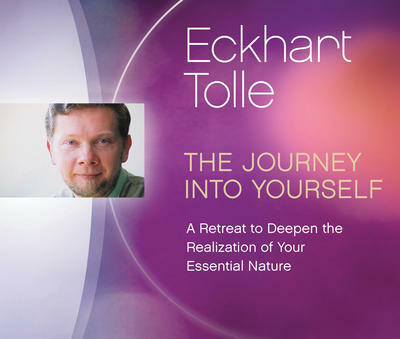 With The Journey into Yourself, Eckhart encourages you to step into the space between thoughts and discover the joyous treasures that lie within.